Bits & Pieces: Step2 Steps Up! Almost a year ago, I wrote a special post about collaborating with the premier toy company, Step2, in Streetsboro, Ohio. 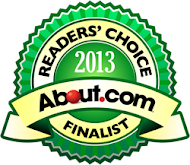 I hinted at great things to come...and they have! 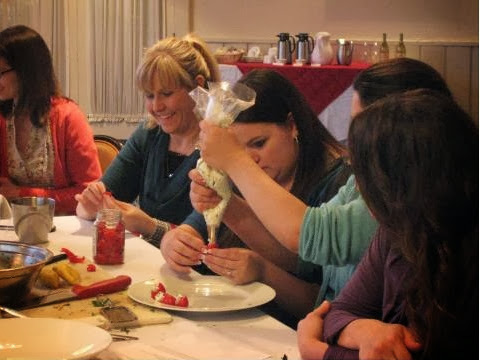 For one thing, Step2 had me do a special demonstration during their special mommy blogger weekend back in April at the beautiful Walden Inn. We are serving up a ton of deals turning the holidays! 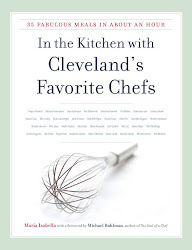 For the first time ever, on November 26th – December 4th customers who purchase the Grand Walk-In Kitchen & Grill you will receive a complimentary electronic version of the award-winning book, In the Kitchen with Cleveland’s Favorite Chefs by Maria Isabella ($10 value). 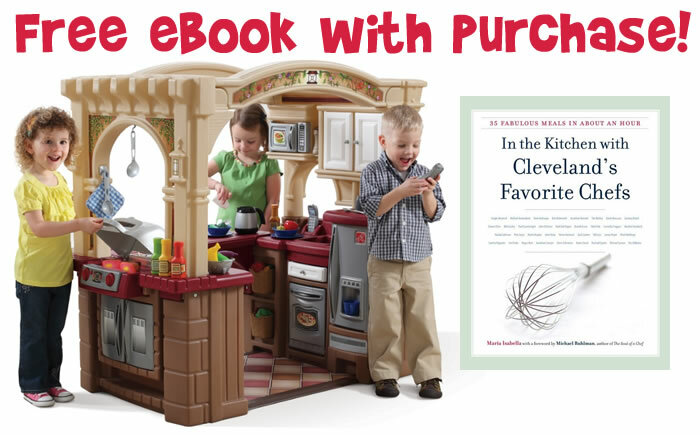 Not only will you receive this free eBook, but the Grand Walk-in Kitchen & Grill will be on sale for $233.99! Outdoor Play in Fresh Air & Sunshine: Gotta Love It! To receive this exclusive offer, enter the coupon code: S2BFGW13 at checkout and include your email address at checkout so we can send you a confirmation email. 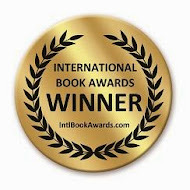 To obtain your free eBook, please forward your confirmation email to the author at step2promo@gmail.com with the subject line “Free eBook”. Please use this email address for any questions, concerns or follow-up communication. 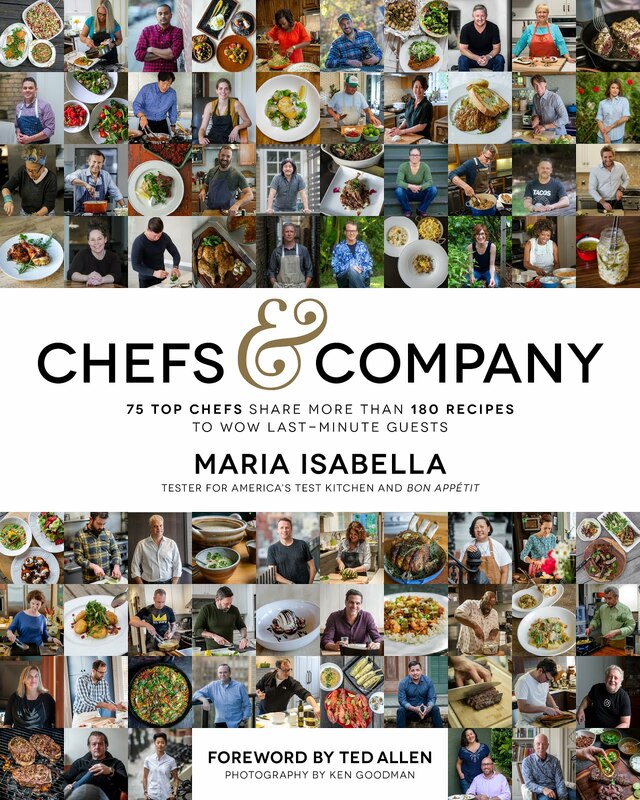 To access this free eBook, you will need to download the Kindle Reader app on your tablet, mobile device or computer. Please click here for a full list of devices that are compatible with the Kindle app. You do not want to miss out on the opportunity to receive this free eBook! You will be able to stir up some recipes from In the Kitchen with Cleveland’s Favorite Chefs as your little one cooks up creativity with their Grand Walk-in Kitchen & Grill! Rules & Restrictions: Coupon code cannot be combined with any other deals at checkout. This offer is only valid with the purchase of the Grand Walk-In Kitchen & Grill. This free eBook is not valid on previous or future purchases. Any questions or concerns should be directed to step2promo@gmail.com.